Well, it has been a while since I posted anything, been busy with work and other things. The garden is doing great, everything is growing and the weather got really warm, upper 80’s for the future and possibly 90+ in a week or two. The tomatoes are loving the heat and are really putting out the blossoms. 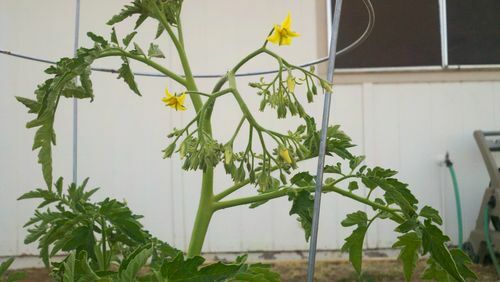 Here is a picture of the Ildi tomato plant that has a bunch of blossoms that are starting to open. never seen anything like this before. 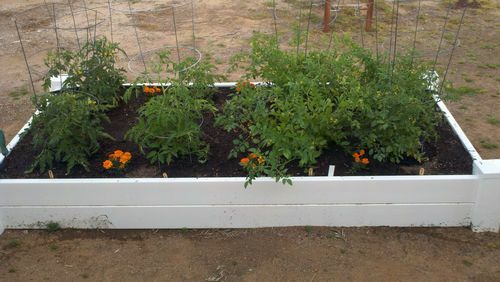 Here is another picture of the first raised bed. 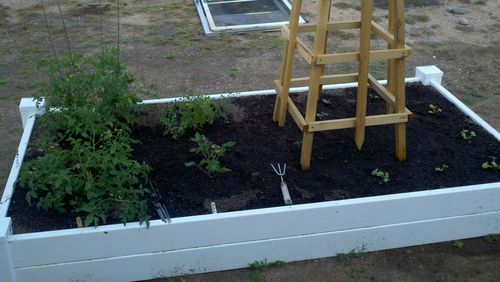 Here is a picture of the second raised bed, the squash and beans are not coming up and growing very well. That is all for now, Hope to get better pics of the cluster of blossoms from the Ildi tomato plant. The Beans are in the ground.